It s Clara who s desperate to enter the labyrinth and it s Clara who s bright, strong, and fearless enough to take on any challenge. It s no surprise when she s chosen. But so is the girl who has always lived in her shadow. Together they enter. Within minutes, they are torn apart forever. Now the girl who has never left the city walls must fight to survive in a living nightmare, where one false turn with who to trust means a certain dead end." I was kindly provided with a copy of this book via Netgalley in exchange for an honest review. “If Mother and Father were here, they’d make sure I didn’t get in trouble for what happened with Ryan. They’d want him in trouble. Father would bring him to the priest, and Mother would speak to his parents, and one or both of them would tell Auntie, and she would spread nasty rumors about Ryan and his whole family. They would each protect me in their own way, even if I asked them to let it lie. Even if all I wanted from them was a hug. Children of Icarus is an entertaining mix of The Hunger Games and The Maze Runner combined with a bit of Greek mythology. The idea was interesting, and the writing is compelling enough to make you want to flip through the pages constantly until you get answers. The reason why I didn’t give this book a higher ranting was because of the lack of world-building, lack of answers, and the very frustrating main character. The story begins at a fast note and continues like that up until the middle of the book, where things get a bit stalled. Our main character (who for the intents of the novel her name is not mentioned) is chosen to be an Icarii, a child between the ages of ten and sixteen who has the chance to enter the labyrinth running underneath their city, and luckily become an angel. Our MC has never been very much interested in being an Icarii, but it’s her best friend Clara who is desperate to go, and when the two of them are chosen they’ll face the labyrinth together, for very different reasons. Now, I was a little disappointed on how fast the labyrinth scenes began, because we saw nothing of the world the characters live in. All we know is that their society lives in different buildings and that they all have similar dispositions, but the people living there have never left them besides the children who enter the maze. That, combined with how little we know of the relationship between the MC and Clara before they are chosen as Icarii, made those points shallow, and they are never brought up again in the novel. The MC is very particular, I can’t say that I hated her exactly, but my God was she frustrating! And I know she will annoy a lot of readers. The thing is, the girl has very crippling social anxiety, and so my mind was constantly in battle; I have social anxiety too, I know what it’s like to stay frozen in a social situation or to stay quiet and hope nobody notices too, so I feel like I should have sympathized with her more. But at the same time I wanted to slap her and get some sense into her. The girl doesn’t do anything, ANYTHING. All she can do is stay frozen, stay quiet. Even when she is being attacked she can’t do anything. She survives in the maze because other people save her and take care of her. I was constantly battling with seeing her as a person who was in a situation she never wanted to be in, and who was overcome by all of it, to agreeing with the other people who thought she should have died already. Because let’s face it, that girl alone in a place full of killers wouldn’t have survived a day. The MC can’t talk, can’t do anything but stay frozen and nod. I tried to understand her, but sometimes her reactions didn’t make sense, she’s so passive it hurts, and she ends up doing really stupid and hurtful things because of it. Imagine this, but multiplied by a hundred. This is the inside of her mind, and I won’t lie and say that I didn’t want to pull my hairs out every now at then because of what she did, or more accurately, what she didn’t do. What I liked about Children of Icarus was that the secondary characters were well thought out, they weren’t cookie cutter ones or clichés, they each had their own personalities and motives, and it was nice to see that the author put effort into them. I also enjoyed how none of them simply fell at the MC’s feet and worshipped her, like in so many YA novels where the secondary characters are simply there to say how amazing the main ones are. There were people who were sympathetic to her, and others who simply wished her gone because she was nothing but a burden. Also, and this will please a lot of people. NO ROMANCE or hints of it. There was zip, zero, nada, not even a glance or moon eyes or whatever. There is nothing of that sort here, just a girl trying to survive. The pace of the story is a bit strange. The action starts right away, and then suddenly stops, then it picks back again at full speed near the end of the novel. That could be confusing, but it was an indication at the author’s skill how, even though there was not much going on, I still wanted to keep reading. The end raises a few more questions, but the problem is that instead of answering some and then raising new ones, the book doesn’t answer any question and adds more mysteries, so in the end, not much is resolved. 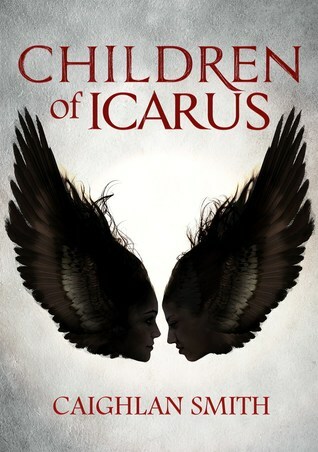 To sum up, Children of Icarus is a good debut by author Caighlan Smith. 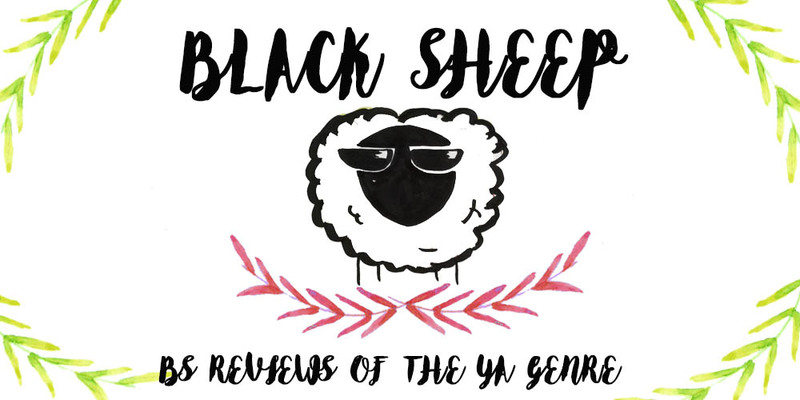 It has entertaining writing, although not enough world building and a frustrating MC that will be up to each reader to decide what they make of her.